- Iran's first international rally was hit by tragedy Friday with the death of a co-driver when his car turned over and barrel-rolled. Arash Ramin Yekta, team-mate of Hossein Ghodsi, was killed in the accident which took place on the first stage of the second day of the Shiraz Rally. His Saipa team as well as others immediately decided to withdraw from the event. "The rally wasn't cancelled but we decided not to organise the last part of the race following the accident," said Hamid Reza Mehr-Ali, the president of the Iran motorsports federation. "The organisation of the rally and the security measures were very good," added Hani Shaban, the organiser of the event. 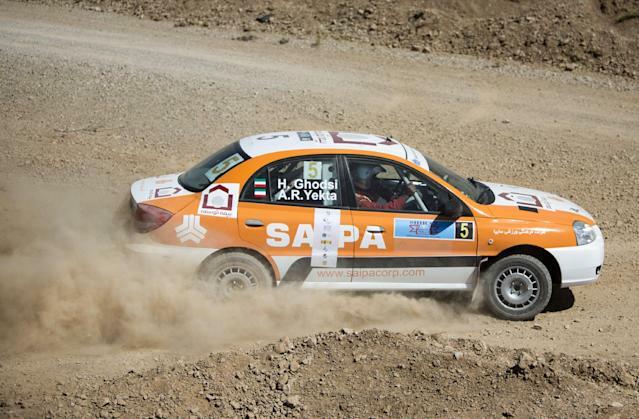 The rally had started on Thursday and featured cars racing in and around Persepolis, around 50km from Shiraz in the south of the country. Lebanon's Roger Feghali was leading the rally ahead of Qatar's Khalifa Saleh al-Attiyah.